Fred's Place - Due to the organizer doing the bolt, planning for this had to be done at the last minute. Although it wasn't well publicized there was still a turnout. A few people came along for the ride up to Fred's and a handful braved the cold and stayed the distance. Despite it being winter there was the standard huge fire (which this year did not include any near by trees) and I was told that it was a good night. Despite the small turnout, people had a good time and thanks again should go to Fred for inviting us all along. The Intensified Party, Saturday, July 1st @ The Warren View Some fellow SCSC members are putting on a gig at the Warren View Hotel (cnr Enmore and Stanmore Rds). Get on down to Ska - Reggae - Rocksteady, with DJ's "The Big W", "Max the Spiderman" and "The Rocksteady boss". 8PM 'til Late. The Warren View also does good cheap food if you want to eat before the beat. Next Meeting Wednesday, July 5th There will be a ride out to "Vespa Cafe" in Gladsville. For those that want to go, we will be meeting up at the Duke 7:30PM and taking Victoria Road to the coolest Cafe North of the Bridge. Warm up with a latte and a snack and then head back. Let us know - Laura and Paul will be concentrating on the newsletter, website and keeping everyone informed on what's going on. If you have an event you want to publish let us know (scsc@internetscooter.com). As mentioned last newsletter (only in email). There is a Ska band called Backy Skank who are keen to do something. 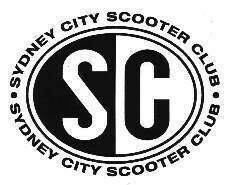 If anyone wants to organize a SCSC event like this they can contact Paul Cooper (Mobile 041 381 4118) and see what you can come up with. Let me know the details and I'll put it in the next newsletter.